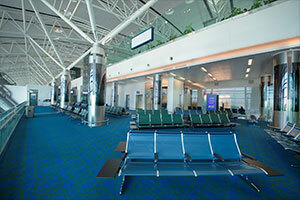 Salalah International Airport is the Sultanate of Oman's secondary international airport, after Muscat International Airport. Salalah is the capital seat of the wali (governor) of the southern Oman province of Dhofar. Second largest city in Sultanate of Oman. The excellent location of Salalah. Excellent quality service for the costumers. Varity of shopping options in the terminal. 11th busiest transshipment port in the world. Second busiest port in the Middle East. OAMC will provide inaugural flight marketing for new services, including presumably cake cutting in its gate lounges. Airport tours for travel agents. Promoting new airlines to attract more passengers. The newspaper or radio stations are providing more service in the airports. Support local tourism to proposed new services. Oman post launches 15 stamps to promote Dhofar. 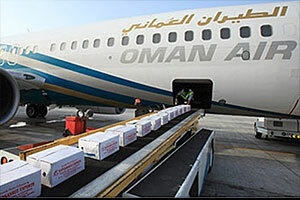 The national airline operates 5 flights daily from Salalah to Muscat. Inauguration for first landing flightcake cutting celebration. Supporting airlines with business cases and joint promotion. Working together with Tourism Authority to facilitate co-operation. Salalah's location in a monsoon zone gives its a unexpected tropical look and feel. The population of Salalah is around 163.140 million. The largest city in the Dhofar province. One of the largest ports on the Arabian Peninsula. Important transhipment hub for container shopping in the area. 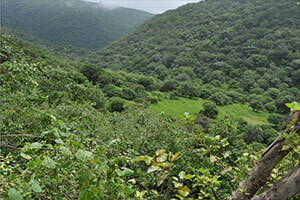 Salalah received more than 600.000 tourists during Khareef. In 2016, Salalah Airport handled 1.35m kgs of freight. The recently completed cargo facility in Salalah, is a fully-automated 21,000 sqm warehouse, with a capacity of 100,000 tons per annum. Salalah Cargo Centre is also part of the integrated logistic system with Port of Salalah and Salalah Free Zone, and offers full Air-Sea and Sea-Air capabilities. Oman's second biggest airport is open 24 hours and handled close to 1.2m passengers in 2016. 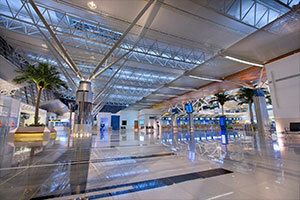 Salalah Airport is located six kilometres northeast of the city centre. Runway(s): Two − 08/26 4,000m; 07/25 3,340m. Min. Connect time: 60 minutes. 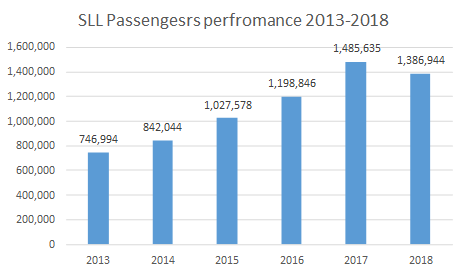 Passenger traffic: 2016; 1.198m – 767,325 domestic; 431,521 international. Largest Carriers (by weekly seats): Oman Air, SalamAir, Qatar Airways.